If you would like to join me for Feathers on Friday, please put the link to your blog post in the comments and I will add a link to my post. To celebrate the first day of Autumn today, I have a poll! 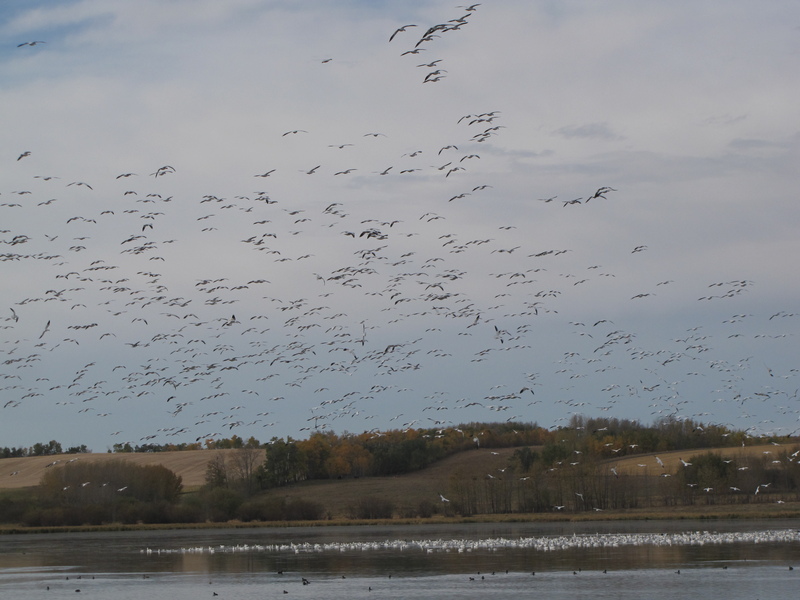 Vote for your favorite Autumn bird by next Thursday evening, and on Friday I’ll have a post with the results. Thank you! 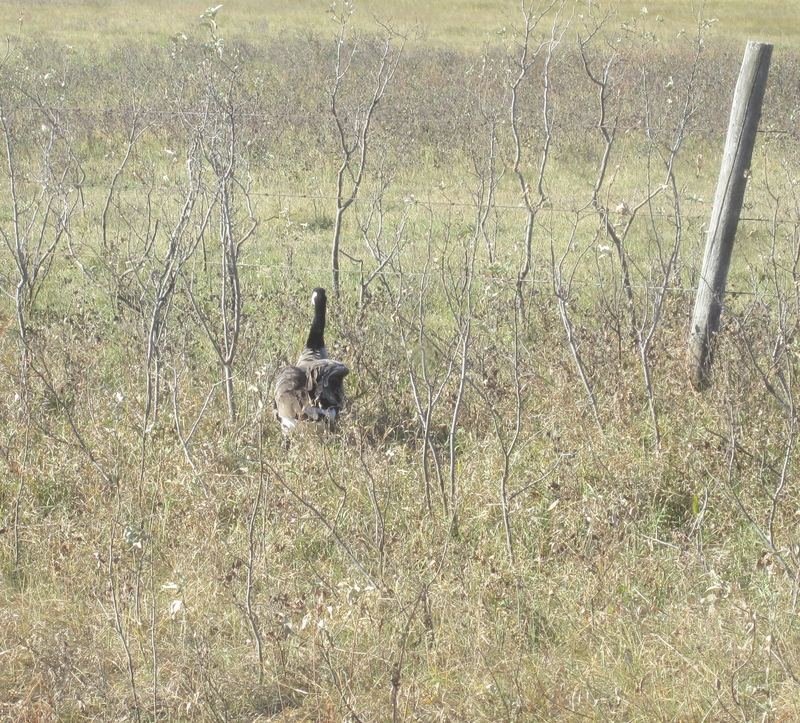 Tuesday morning on the way to our corrals to do chores, my brothers, my dad, and I found a Canada Goose by the side of the road. When we drove past it with the truck, and it didn’t fly away, we could see that it was injured. Dad caught the goose and handed it to me, and I carried in the truck on my lap. 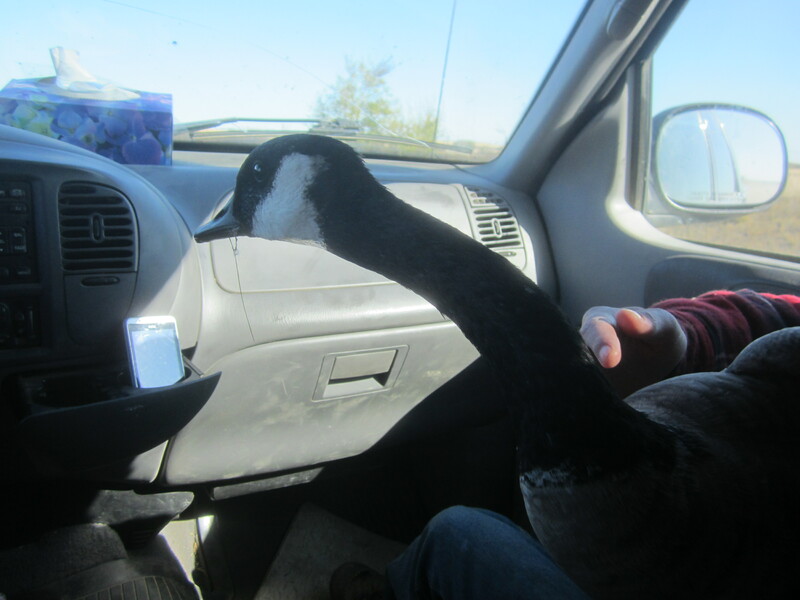 I am fairly certain the goose had never been in a truck before. We took it to our corrals, and put it on one of the little pens we use for broody hens. 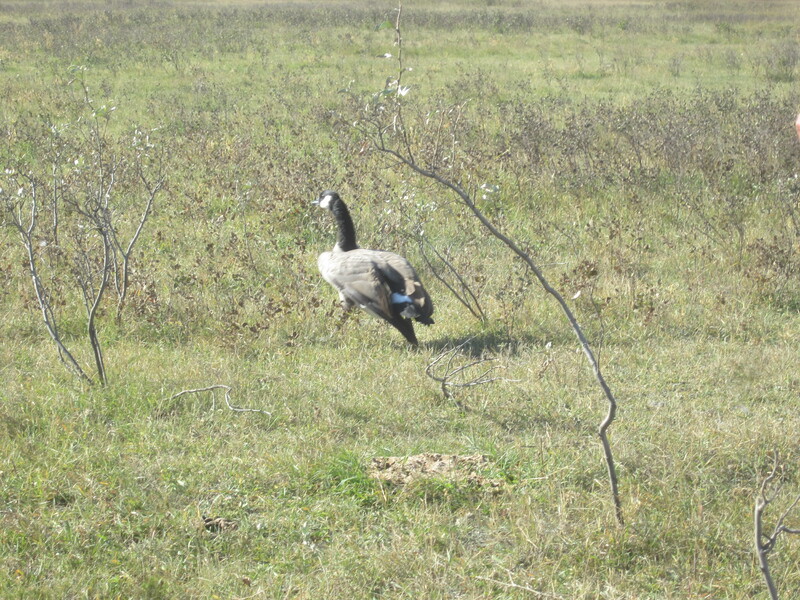 I gave the goose some water and some ground wheat, and it ate a bit. A few years ago my grandparents, who live a few miles away, found a Great Blue Heron stuck in a snow bank in late October or early November, long after migration time. They called the Wildlife Rehabilitation Society in Spruce Grove, Alberta, near Edmonton. My mother thinks we should consider calling the WRS about our goose. 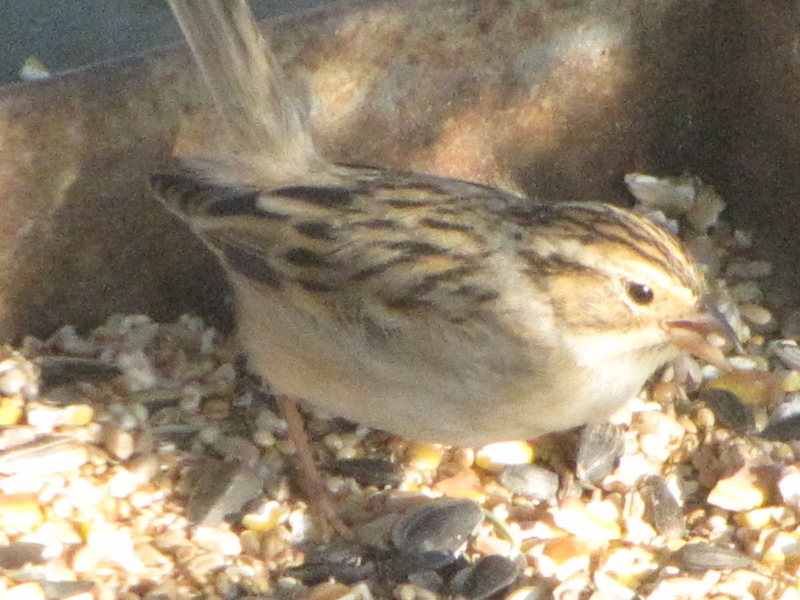 The Clay-colored Sparrows are still here eating from my feeders, but they will soon be gone. 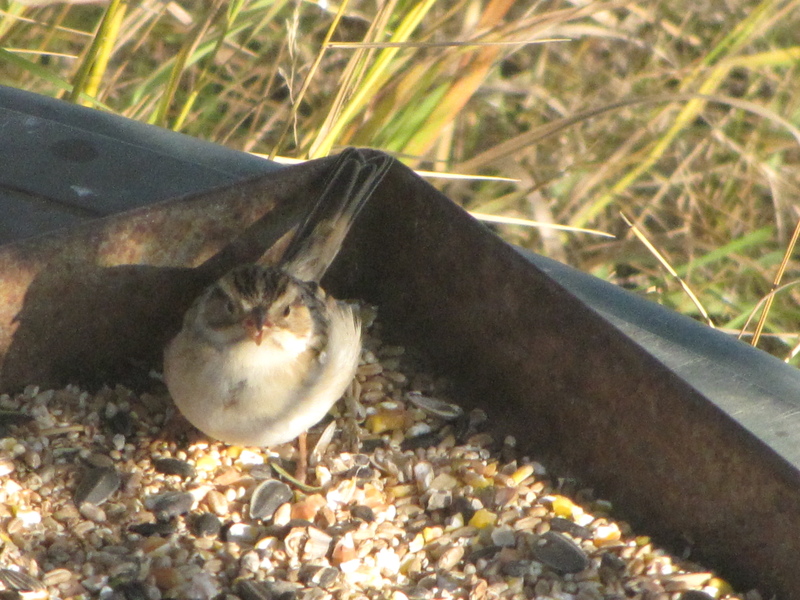 This is my eighth Bird Photo Quiz. Please post your answers in the comments below and I’ll reveal the identity of the birds in a week, as well as those who have made the correct identifications. Click to enlarge the pictures. 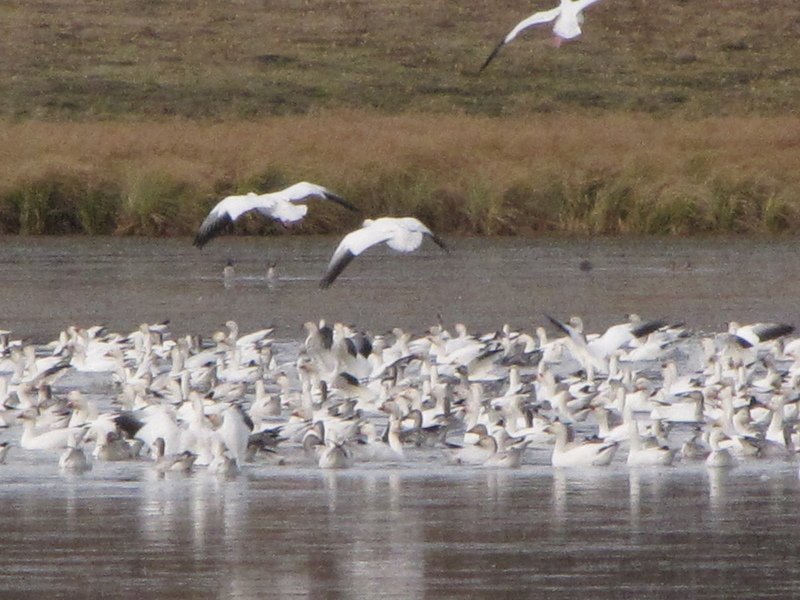 Congratulations to Brendan at Catching the Thermals and David at Calgary Birder who both correctly identified the birds. Thanks for all playing along! I’m terribly sorry that I missed Feathers on Friday. 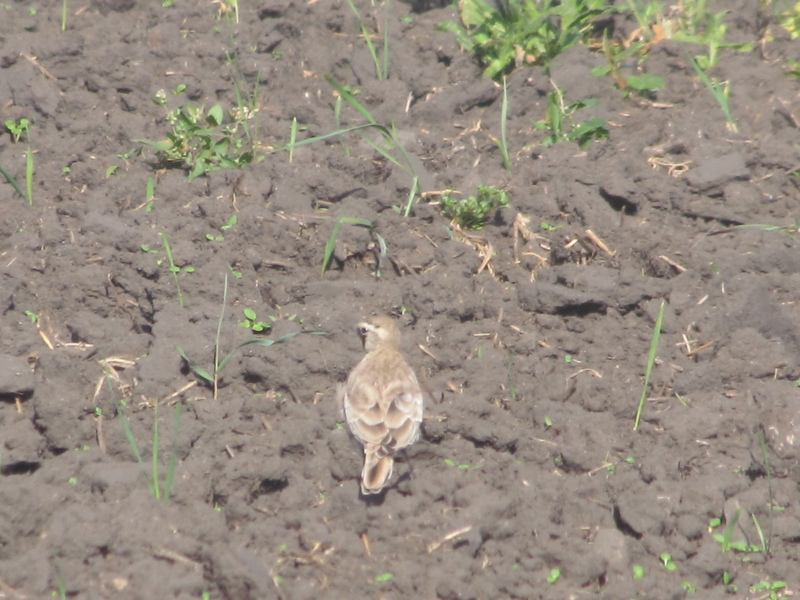 At first I wanted to get a photo of a bird that hasn’t been a Feathers on Friday bird already. But my brothers had their guitar lessons in the afternoon, we all had school, and then I had babysitting all evening. 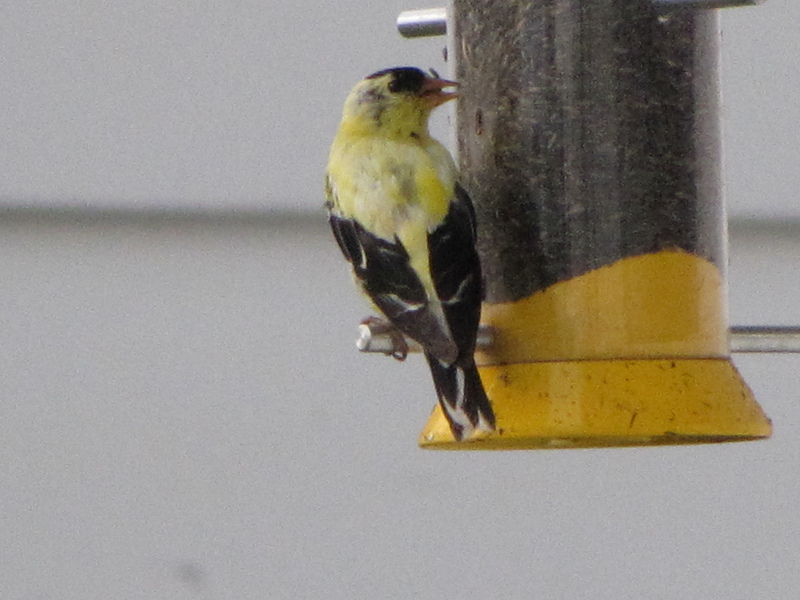 I believe that the American Goldfinches left for good on Friday. 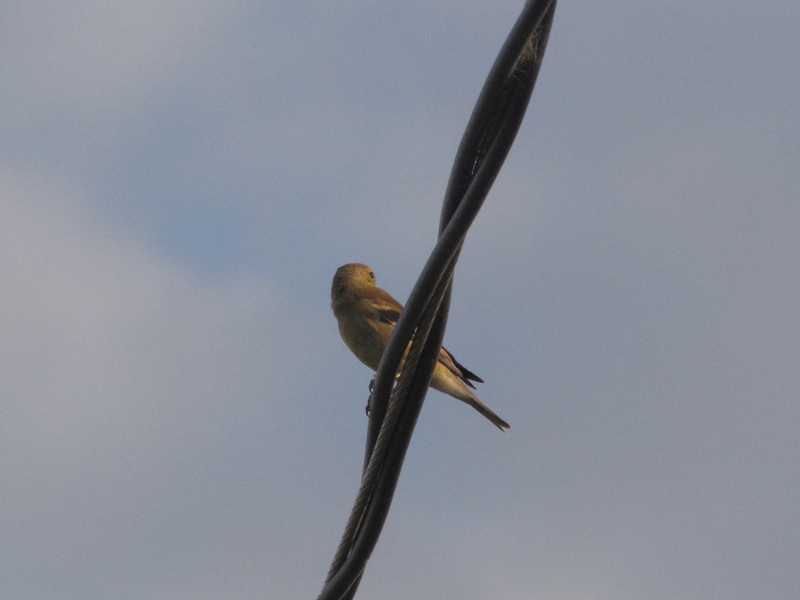 I’ll miss them, The goldfinches are still here so I am enjoying them before they go!